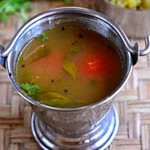 South Indian meals will never be complete without Rasam. 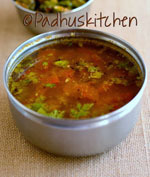 Here you will find some Best South Indian Rasam recipes - Click the picture or the link for the recipes. 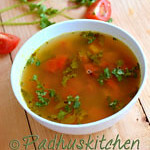 More Rasam Recipe will be updated here when it is posted. If you found this post useful, I would really love it if you pin it or share it with your Facebook fans or Twitter followers or Google+ circles today. All it takes is a simple click on the “pin it” “like,” “share,” “tweet,” or Google+ buttons below the post. It will keep me motivated. 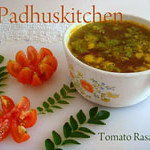 Thank you for visiting Padhuskitchen.com. Hope you enjoyed browsing my site. 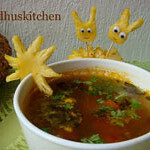 Hi padhu, do u make thoothuvalai keerai rasam? 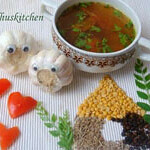 Its also good for curing cold. great collection!!! 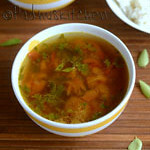 It'll be great if u add coconut milk rasam to the list too!!! 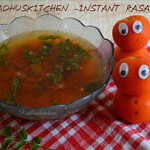 Hi, the idea behind rasam is it fix the digestive juice for the day. 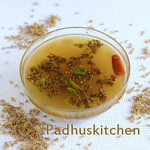 Hence is called "Rasa"m. It shares same root as "Rasa"yanam (chemical). 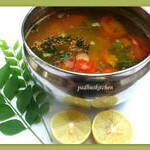 Rasam has health (digestive system) benefits. 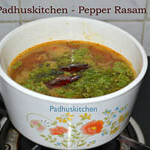 Padhu add ginger rasam and Amla rasam...It is grt receips. 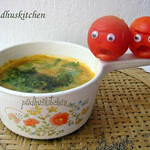 Padhu your post are superb.